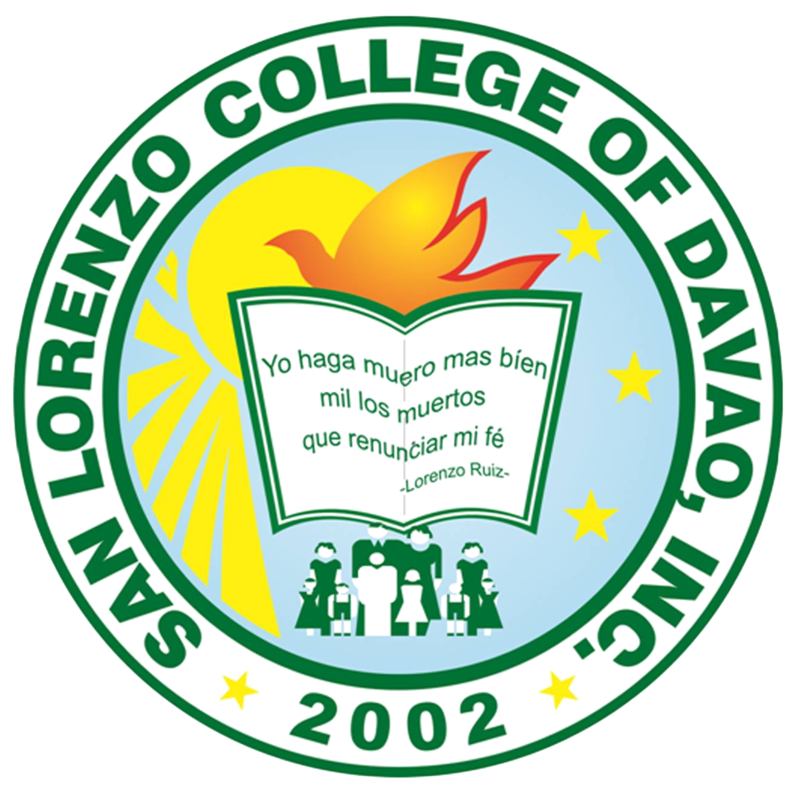 The School Seal - San Lorenzo College of Davao, Inc. The school seal is the insignia of the San Lorenzo College of Davao, Inc. The SHINING SUN, PHOENIX and the BOOK are the symbols of transformed, inspired and enlightened leadership. The text: "YO HAGA MUERO MAS BIEN MIL LOS MUERTOS QUE RENUNCIAR MI FE" is translated "I would rather die a thousand deaths than to renounce my faith" - - the famous saying of Saint Lorenzo Ruiz. The THREE STARS symbolizes Faith, Love, and Freedom -- the embracing values of San Lorenzo Ruiz martyrdom. The FAMILY is a basic value in itself, a seedbed of greater cooperation in the formation of Christian values & principles.